Hidden treasure just around the corner. 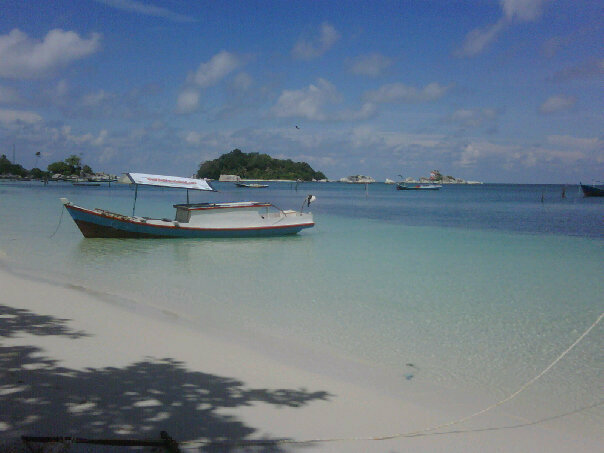 It’s Belitung…. Sriwijaya Air (www.sriwijayaair-online.com) and Batavia air (www.batavia-air.co.id) offer one flight daily from Jakarta to Tanjung Pandan, the main city in Belitung Island. The flight takes approximately one hour. It is highly recommended that you pre-book your transportation to your hotel since public transport is scarce in this island. Don’t worry, it’s only a small hassle compare to its beauty. There are some nice accommodations in Tanjung Pandan, around one hour from the airport. Martni Hotel (0719 21432) and Wisma Martani (0719) 21156) are among those preferred. Room rate are around $20 to $40 a night. Hotel Martani has basic but nice rooms, good value for money. 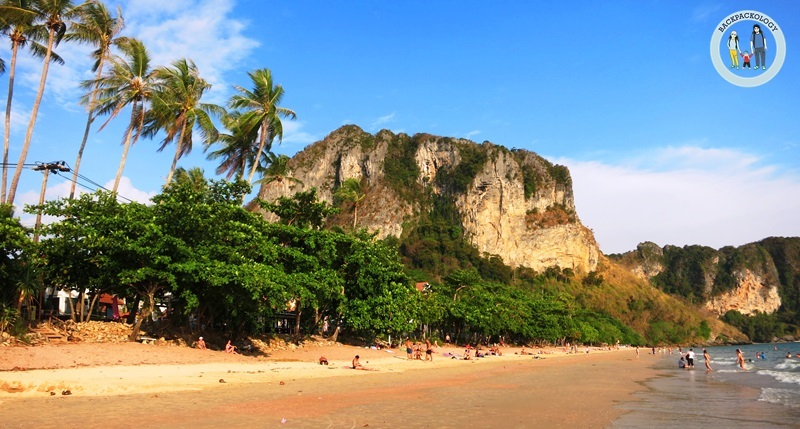 Tanjung Pandan is located in the center of the island, so it takes 45 minutes to one hour to get to the beach. The town is famous for its traditional food: Mie Belitung and Gangan. Mie Belitung is traditional Belitungese noodle with bean sprout and potato. Gangan is a red curry fish with pineapple. The taste is sour and spicy, perfect with hot steam rice. Durian is another attraction for you who like it, just wander around the town and you can get it with relatively cheap price. Tanjung Tinggi is the most popular beach in the western part of Belitung. It has stretched granite rocks and blue sea. Belitung beaches are friendly to families with small children because the wave is not very strong and in some areas the water is contained by the rocks. Avoid busy crowd and you can easily take photos with picturesque background. The beach is only very busy on Sunday and holidays. Most tourists are local, students, with few travelers from Jakarta. Westerners are very few. 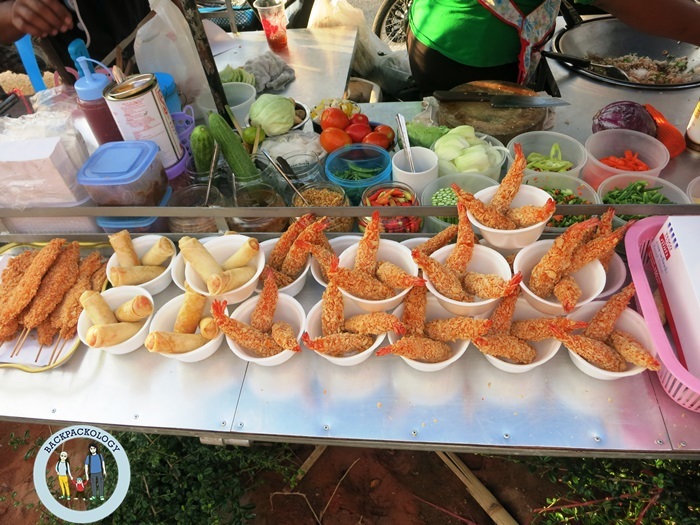 Small shops and food stalls selling Indonesian traditional food, soft drink, coffee and tea, coconut are available on the beach. The only accommodation you can find in Tanjung Tinggi is Lor In Resort. Owned by Tommy Soeharto, the son of Indonesian former dictator, the resorts offer a beautiful view. Named as the most expensive hotel in the island with around $60 a night, it is expensive compared to the facilities. Lor In consists of 6 executive and 14 superior cottages. Tanjung Kelayang is a fishermen beach around 4 kilometres from Tanjung Tinggi. It has undisputable marvelous panorama. 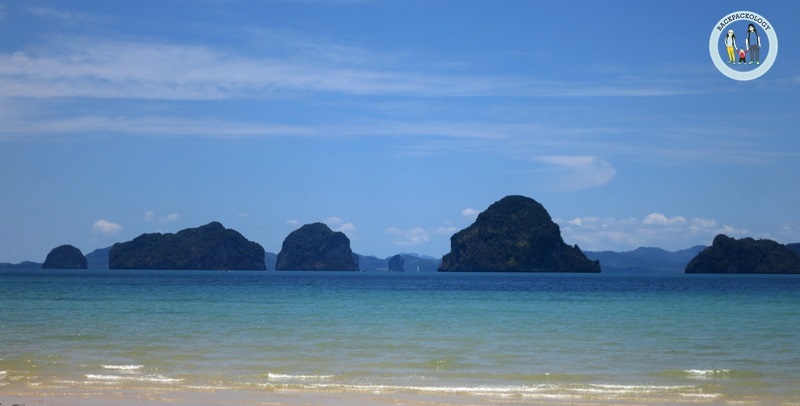 You can enjoy the clear blue sea that stretches for one kilometer. In the afternoon you can see the fishermen unloading their boats and selling fishes on the beach. One great thing about this place is, although serving as fishermen village, it doesn’t stink at all. And although you can see many fishing boats, the beach is still very clean and blue. It is perfect for families with small children who enjoy swimming, also you who like to snorkel. Belitung beaches are famous and unique for their granites and Tanjung Kelayang is no exception. In the corner of the beach, you can see a big stack of huge granite rocks. The place is well-known for dating teenagers. Try to climb the rocks and you will find maybe the bluest sea you have ever seen. On the rocks you, you can see some other islands such as Pulau Lengkuas and Pulau Tikus. 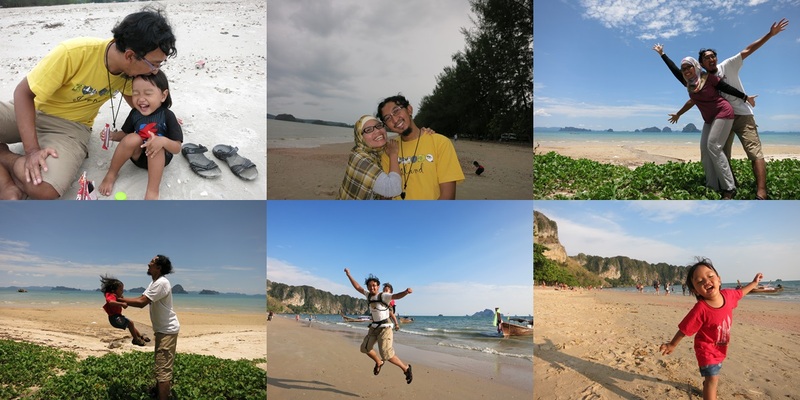 The only accommodation in Tanjung Kelayang is Kelayang Cottages (www.kelayangcottages.com). Owned by a British gentleman, it consists of 6 wooden cottages with attached bathroom. The rooms are spacious and clean, although they are basic. For rooms with air-con you need to pay $25 a night, room with fan $15 a night, and one backpacker style with only $10. Please book in advance at: (+6281929798420). The accommodation provides a restaurant with reasonable price. They also provide airport pick-up and drop-off for $15 one way (it takes one hour traffic-free trip from the airport to Tanjung Kelayang). You can also book one-day islands hopping for $30 one boat – it can fit more than 10 people. 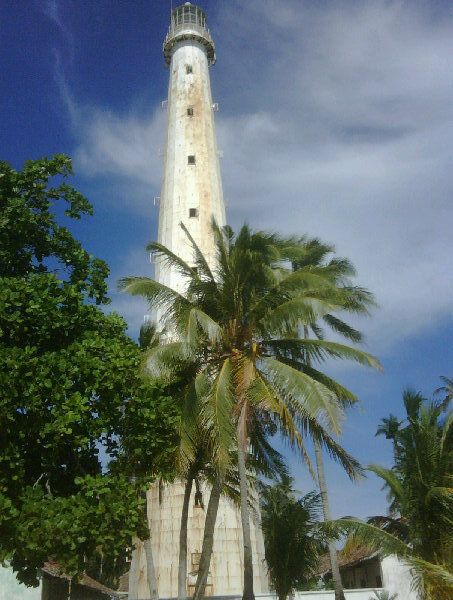 It takes around 30-50 minutes boat ride to Lengkuas Island or Pulau Lengkuas which is famous for its lighthouse. Built during the Dutch colonial era, the lighthouse is still working properly to keep boats safe. From the top, on 18th floor, you will enjoy the most magnificent blue sea. Take a lot of pictures or you will be sorry. You can swim or snorkel in the sea around Pulau Lengkuas. The water is very clear. The guardians of the lighthouse have prepared some benches and hammocks. They also have facilities to rinse after swimming. Please note that it is a tiny and isolated island, so bring your food and enough water. Do a picnic while enjoying one of the best scenic views in Indonesia.